(VIENNA, VA) – Billy Casper Golf (BCG) – the largest owner-operator of golf courses, country clubs and resorts in the U.S. – has been selected to manage Enger Park and Lester Park golf courses in Duluth, MN, just off the shores of picturesque Lake Superior. For the public-access operations, BCG will direct course and property maintenance, staffing and training, clubhouse activities, merchandising, golf instruction, marketing and public relations, special events and financial management. 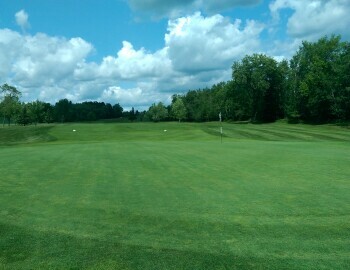 The two courses enjoy deep connections with the community, hosting the Minnesota Section PGA of America Junior Tour as well as roughly 70 tournaments and 40 fundraising events annually. In addition, they serve more than 180 families with innovative youth golf programs and nearly 1,100 men and women golfers during weekly league play. Enger Park and Lester Park golf courses contribute to Duluth being named a “Best City in America for Public Golf” by Golf Digest, the “Best Outdoors Town in America” by Outside Magazine and one of Lonely Planet’s “10 Must-See U.S. Destinations for 2015.” Reinvigorating its economy as a city with abundant recreational outlets, spectacular water and sightseeing venues, and thriving engineering, aviation and health care businesses, Minnesota’s fourth largest metropolitan area attracts millions of visitors annually. Just south of downtown set atop a high bluff, Enger Park treats golfers to immaculate conditions and breathtaking views of Duluth Harbor. Built in 1927 near the historic Enger Park Tower, the 27-hole course features three, distinct parkland-, links- and traditional-style layouts. Ranging from 3,168 to 3,359 yards, the par-36, “Front 9,” “Middle 9” and “Back 9” designs present strategic bunkering, several doglegs and scenic ponds while four sets of tees ensure fun but fair tests for all handicappers. Just north of downtown, Lester Park is well known for its natural beauty and panoramic views of Lake Superior on 20 of its 27 holes. Opened in 1932, the classic layout is set alongside the Lester River and meanders through open expanses and densely wooded areas. Ranging from 3,182 to 3,417 yards, the par-36, “Front 9,” “Back 9” and “Lake 9” courses present golfers with narrow fairways, exciting elevation changes and gently undulated greens. Buffalo Brand Invigoration Group (formerly Buffalo Communications) manages public relations, strategy development, integrated marketing, social media and design for golf, sport and lifestyle brands, and destinations and communities.